This is known to be a popular app for the downloading movies, songs and videos and help you to see them without any hazards. The app has the capacity to download unlimited videos and has more than 200 television channels absolutely free. Vidmate has all in one app or you can call it as a complete amusement package. 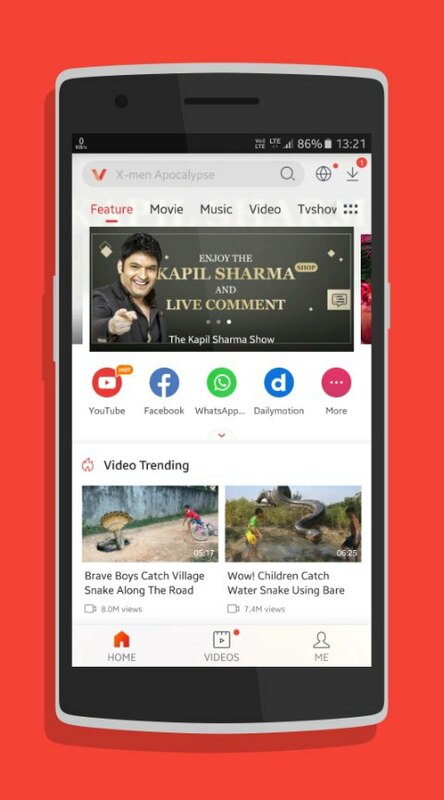 The vidmate app is downloaded and enjoyed by millions of mobile users who have a great experience with the vidmate app. This is also a one stop solution for the video download on android. 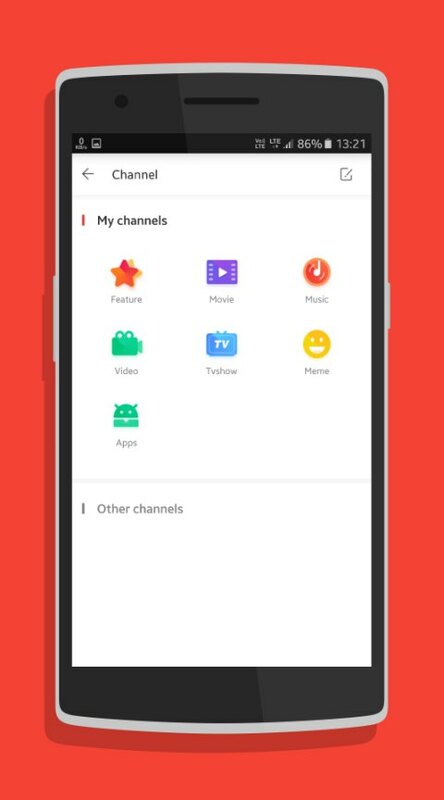 This app supports all the formats and you have the option of downloading the videos from YouTube, Dailymotion, Vimeo, Facebook and others websites. This app will never make you bore and allow you to take pleasure in the entertainment online. - Vidmate will download videos in parallel part to increase and accelerate the downloading speed of the video. - You can pause, resume and break the downloading pattern if it's supported by the website. - You can have the option to pause, delete and restart the downloading action whenever you want. - This app will allow you to support the downloading of the large file app that can be over 1 GB. - It will support many formats like MP4, FlV, MOV, AVI, WMV, 3GP, MPEG etc. - You can download a number of videos simultaneously. - The downloading will show in the background. - This app will automatically detect the link of the browser. - It has also the option of deleting the videos if you don?t have any storage space. - Support about 50,000 high quality songs. - Covers all regional languages and you can download songs in many languages as per wish. - See the movies without buffering and it gives an uninterrupted hearing of the songs. - Download recorded sports video without any hazard with this app. - You can also download various television channels as well. With the vidmate app you can have endless options for downloading the movies and songs. If you don?t desire to go cinema halls and stand in the long queue for watching the movies, then this app will give you enough scope to download the latest movie and watch it without any disturbances. This media can be downloaded in an offline mode which reduces the cost of the data and allow you to view them any time later. This app can be accessed as per your convenience and you can also have the option of browsing history and search for your favorite movie and song any time with this app. 1. YouTube videos download failed in some case issue now fixed. 2. Problem fixed about video still plays after closing the browser. 3. Open MEME Tab now avilable for Indonesian users.